A color copy of the original tinted map which shows political boundaries as well as a physical relief. The map is 39" x 37" and a scale of 1.150,000. 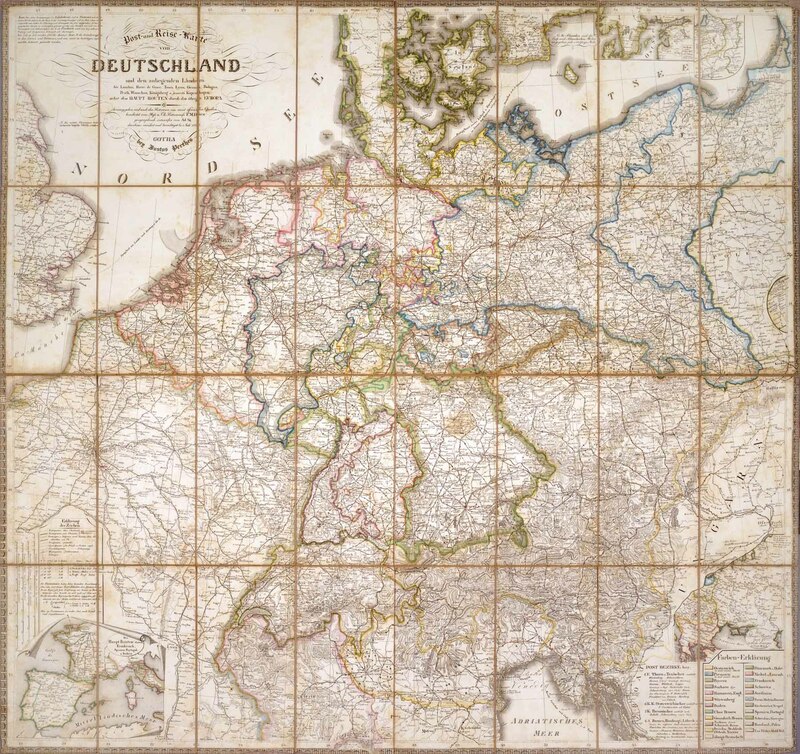 The map shows parts of countries surrounding Germany such as France, England, Switzerland, Prussia and Poland.